Many modern shoppers prize efficiency above most other features when they’re looking for a new sedan. And when it comes to fuel economy, it’s pretty hard to outdo the new 2017 Ford Fusion. With six unique and fuel-efficient engines, the Fusion promises to be a hit with eco-conscious drivers across Colorado. Yet at the same time, the new Fusion also gives you and your passengers an array of technologies to keep you entertained and a range of safety devices to keep you safe. Just compare the new Fusion to one of its competitors, the 2017 Chevrolet Malibu, to see how the Ford excels. First, the Fusion offers what’s basically an unbeatable array of options when it comes to its drivetrain. 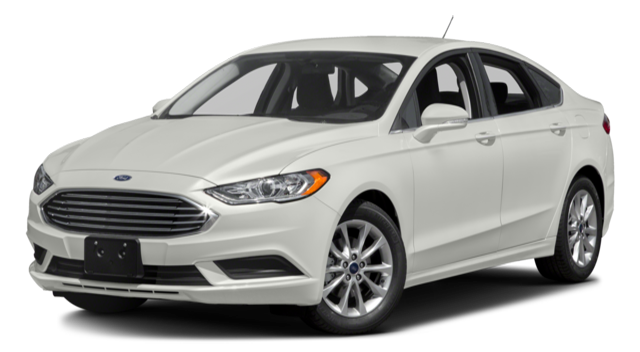 The 2017 Ford Fusion – The Ford Fusion is offered with a range of six different fuel-efficient engines, from a 1.5L i-4 EcoBoost engine with Auto Start-Stop technology that gets an EPA-estimated 23 mpg in the city and 34 on the highway to a 2.0L Atkinson-cycle Hybrid gives you 43 mpg in the city and 41 on the highway and a 2.0L Atkinson-cycle I-4 Energi Plug-In Hybrid that gets 104 mpg(e) in the city and 91 mpg(e) on the highway. 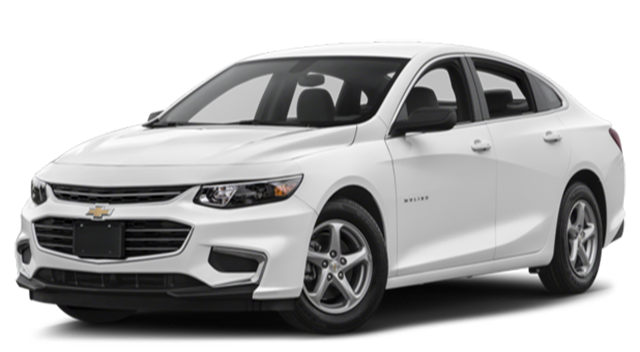 The 2017 Chevrolet Malibu – The Malibu is only offered with two engine options the base-line Malibu, for example, provides nothing more than a turbocharged 1.5 4-cylinder DOHC engine that only gets an EPA-estimated 36 mpg highway and 27 mpg city. Opt for the turbocharged 2.0L four-cylinder engine, and those numbers drop to just 33 mpg highway and 22 mpg city. There’s also a hybrid model available, but it only gets 47 mpg city and 46 mpg highway, with no plug-in hybrid available. What’s more, the Fusion is outfitted with a selection of exciting new technologies. The 2017 Ford Fusion – The Fusion’s Voice-Activated Touchscreen Navigation System lets you generate endless information about the coordinates of your destination, route maps, and even the locations of gas stations nearby, while its SYNC 3 technology lets you connect your smartphone directly to the car’s console, allowing you to access all of your own music. Meanwhile, SYNC Connect lets you run a range of operations remotely, enabling you not only to turn your car on and warm it up but even to locate it in a crowded parking lot and to check on fuel levels and approximate mileage for a distance, all via your smartphone. The 2017 Chevrolet Malibu – Sure, the Malibu comes with Chevrolet MyLink Radio technology and SiriusXM Satellite Radio, but its Remote Vehicle Starter System doesn’t do much more than let you start your vehicle remotely and set a temperature. Last but not least, the Fusion is also one safe vehicle. The 2017 Ford Fusion – Rear View Camera. Blind Spot Information System. Cross-Traffic Alert. Lane Keep Assist. An assemblage of airbags that are designed to keep you and your passengers protected in the event of a collision. Dusk Sensing Headlamps. Rear Inflatable Seat Belts. And the list goes on…and on. The 2017 Chevrolet Malibu – Even if the Malibu offers up StabiliTrak for stability and a Rear Vision Camera, Side Blind Zone Alert with Lane Change Alert, and Front Automatic Braking, you’re not going to get the Fusion’s particular array of airbags, or its Dusk Sensing Headlamps, or its Rear Inflatable Seat Belts. If you’re interested in experiencing the Fusion for yourself, we urge you to stop by our Glenwood Springs Ford dealership today in oder to take this stellar vehicle out on the road. Located at 55 Storm King Rd in Glenwood Springs, we can always be contacted online or by phone at 970-945-2317. Explore efficiency and smarts in this season’s new Ford Fusion!